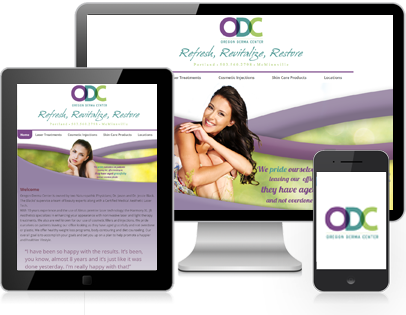 Oregon Derma Center was looking for a complete website overhaul. We gave them a Custom Web Design, responsive layout, Logo and Branding, and SEO Services. Their website now has a beautiful, elegant design that promotes their services in a way that reflects their business. It also provides great information for their patients and an easy way to schedule appointments!